One firefighter was injured, and no one else was reported hurt in the blaze which began after the building was closed to the public for the evening. 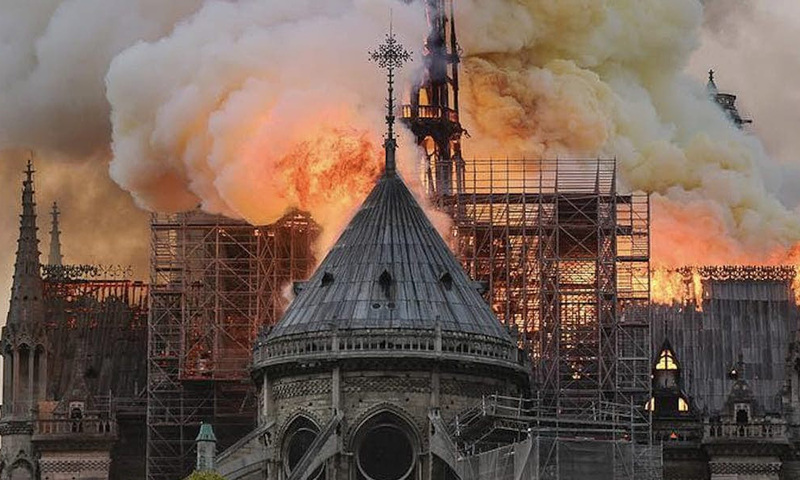 Investigators will not be able to enter the cathedral’s blackened nave until experts are satisfied its stone walls withstood the heat and the building is structurally sound. Television images showed firefighters atop the towers. 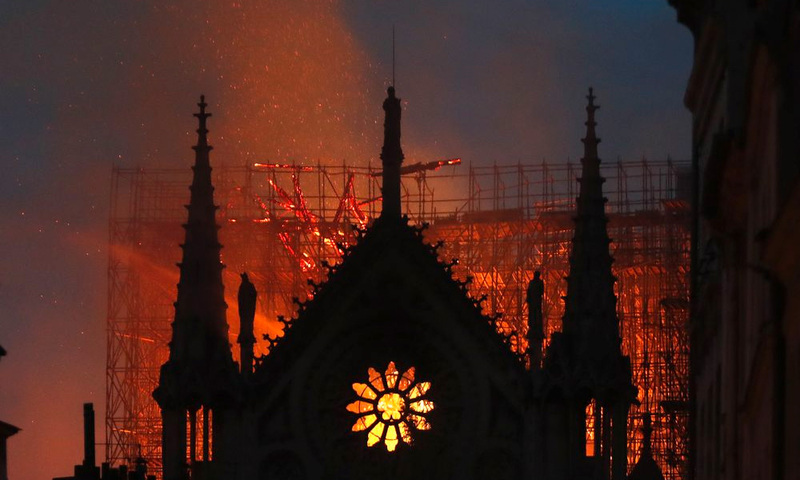 The fire swiftly ripped through the cathedral’s timbered roof supports, where workmen had been carrying out extensive renovations to collapsed balustrades and crumbling gargoyles, as well as the spire’s wooden frame. 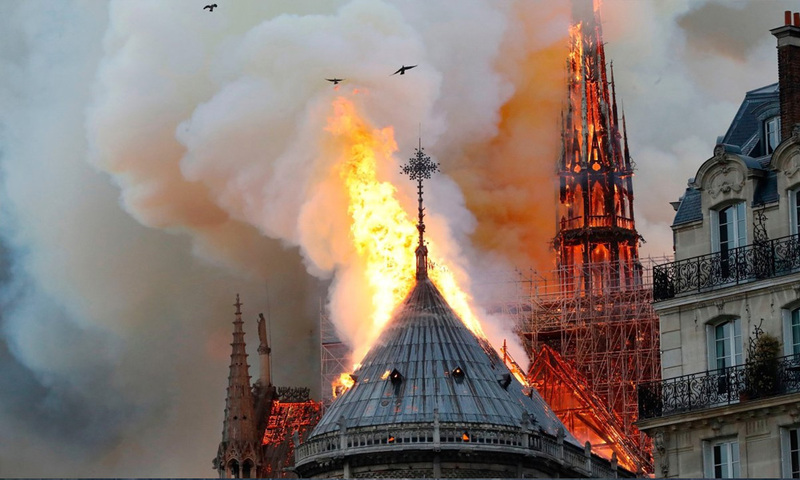 “It’s a symbol of our country that risked being destroyed,” Culture Minister Franck Riester said. Two of France’s wealthiest men, Francois-Henri Pinault, chief executive of the Kering group which owns brands including Gucci and Yves Saint Laurent, and Bernard Arnault, the main shareholder of luxury group LVMH, said they would donate €100 million (RM467 million) and €200 million (RM934 million) respectively. The city of Paris pledged €50 million (RM233 million). A centuries-old crown of thorns made from reeds and gold, and the tunic believed to have been worn by Saint Louis, a 13th century king of France, were saved, Notre-Dame’s top administrative cleric, Monsignor Patrick Chauvet, said.